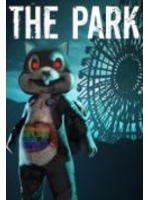 Funcom has announced today The Park, a horror single-player game set in an amusement park that puts you in the shoes of Lorraine, a mother whose son has gone missing. It's coming this October on PC therefore more details are coming soon, meanwhile a teaser and screens inside. Oslo, Norway – August 26th, 2015 – Amusement parks are happy places, filled with the innocent joys of childhood and the exhilarating rush of hair-raising, but safe adventure. Balloons, cotton candy and fantastic rides to be dared. Perhaps that is how Lorraine pictured it too when she brought her son Callum to one... just before it descended into the most terrifying nightmare of her life. Funcom is thrilled to announce 'The Park', a unique horror story and the company's first single-player experience since its award-winning adventure 'Dreamfall: The Longest Journey'. Releasing on the PC in October this year, 'The Park' puts you in the shoes of a mother whose son goes missing. When night falls and the lights go out, what follows is a short, but intense horror story set against the backdrop of an amusement park where a dark and sinister secret is just waiting to be uncovered. "It has been very exciting and creatively energizing for us working on a single-player experience again," says Funcom CEO Rui Casais. "'The Park' is actually the outcome of what started with a small group of developers experimenting with new concepts and looking at how we could draw upon the universes we have built for our massively multiplayer online games and expand upon them into smaller-scale single-player games. Something special started to take shape, and 'The Park' ultimately became something we are eager to share with the rest of the world." Funcom will reveal further details about 'The Park' closer to the launch in October. In the meantime, please refer to www.theparkgame.com for the latest assets and information. Really need to get round to building a gaming rig.. so many games like this never make it to console.. So many companies taking a shot in the scares department, interesting. "Funcom is thrilled to announce 'The Park', a unique horror story and the company's first single-player experience since its award-winning adventure 'Dreamfall: The Longest Journey'." Awesome. the story sounds also interesting. a missing family member is a common topic in the genre but it usually makes for a dramatic story. I also just seen the trailer, i hope they don't make this into a first person horror game, there's too many of them. i'd like to see more 3rd person horror games. I actually miss the silent hill style games, i wish someone would emulate the camera , item menu, and weapon system of the original. People with sensitive eyes be warned, there is an extreme flashing image segment towards the end of the video.